It’s been a while since I’ve done one of these, so perhaps I should reintroduce the concept. Tom Spurgeon wishes some creator of comics a happy birthday, and if the stars (and my tastes) align properly, I recommend one of my favorite books by that creator in celebration. 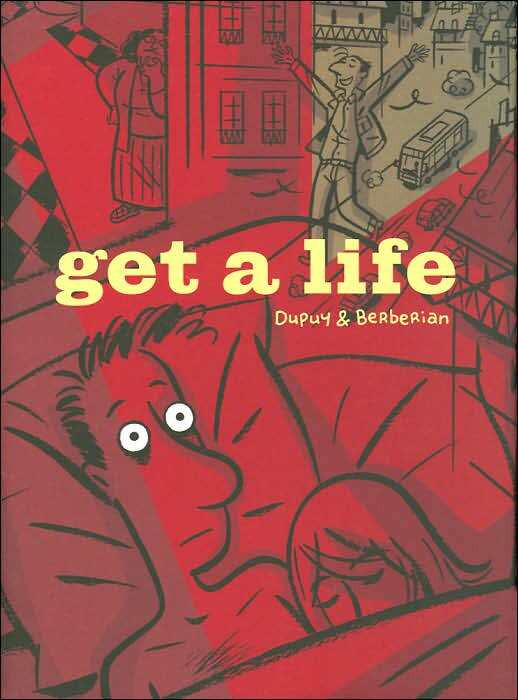 Today, it’s Philippe Dupuy, and I have to confess that my exposure to Dupuy’s work is somewhat limited, though I don’t think that’s really my fault. And since I’m on the subject, why not fold a bit of a license request into this birthday book entry? I’d love it if Drawn & Quarterly published more Mr. Jean comics. There seem to be at least seven volumes available in the original French, and I would love to see more published in English. I was right. There have been a number of great new manga series this year. A cursory glance at some of the new volumes included in this week’s ComicList proves it. The founder of the feast this week’s is Viz’s Signature imprint, which leads things off with the second volume of Daisuke Igarashi’s Children of the Sea. 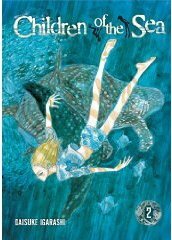 It’s easily one of the most beautiful comics you’ll read this year, and Igarashi seems to be building an interesting contemporary fable about mysterious children and disappearing fish. You can read it online for free at Viz’s SIGIKKI site, but I like holding the actual object. Also, if lots of people buy Children of the Sea, we might get Igarashi’s Witches sometime in the future. Please don’t misunderstand me. I think Naoki Urasawa’s Pluto is a fine comic in every respect, easily one of the best of the year. It’s a wonderfully constructed thriller with a higher-than-average number of important things on its mind. I admire it tremendously, I really do. But I love Urasawa’s 20th Century Boys with its twists and turns, healthy doses of humor and wistfulness, and its energetic quirkiness. I also think it’s one of the best comics of the year, and the fact that it’s more… well… fun than Pluto pushes it just a note higher on my personal scale. 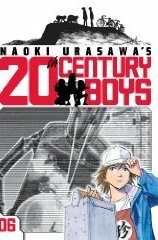 The sixth volume of 20th Century Boys arrives this week. I’m still not entirely sure why the phrase “Fumi Yoshinaga’s most ambitious work to date” doesn’t make people lift their heads like deer becoming aware of a mighty predator crashing through the forest. Even her lighthearted comics have an enduring quality that’s kind of rare in mainstream entertainment. 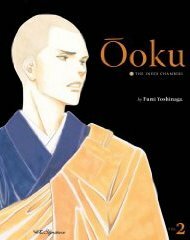 So I’m a little disappointed that Yoshinaga’s Ôoku: The Inner Chambers hasn’t cast a wider net among critics. Yes, bits of the translation are awkward, but for my money, there are few finer working cartoonists than Yoshinaga, and the opportunity to enjoy the acclaimed apex of her career to date is just so damned cool. The second volume of Ôoku graces better comic shops on Wednesday. I’m finally getting used to actually looking at Image’s listings, since they’re publishing some comics I’m really enjoying. (I thought I’d never have to do that again after they gave up on Glister. Who knew?) 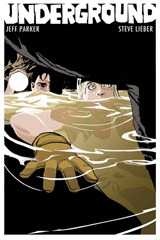 This week, it’s the fourth issue of spelunking thriller Underground, written by Jeff Parker, illustrated by Steve Leiber, and colored by Ron Chan. A determined ranger tries to protect a pristine cave from an unscrupulous developer and his well-armed minions. Oh, and while I’m not following the series myself, manga karma points must go to Del Rey for its rescue of Akimine Kimiyo’s Samurai Deeper Kyo. 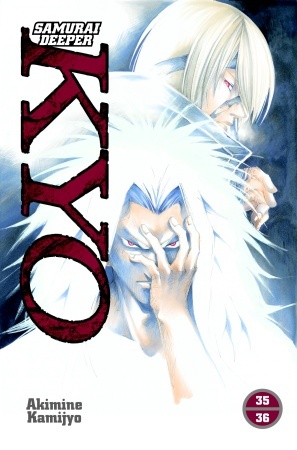 For those of you who don’t remember, Tokyopop had reached the thirty-fourth volume of this thirty-eight volume series before Kodansha reclaimed rights to all of its properties from Tokyopop. Lest its fans become profoundly (and understandably) embittered by that turn of events so close to the finish line, Del Rey is publishing two-volume collections of the final six volumes, the first of which arrives Wednesday. You are currently browsing the The Manga Curmudgeon blog archives for the day Tuesday, December 15th, 2009.